MNTL Series Vertical Iron Roller Rice Brushing Machine is mainly used in the brushing of fine rice that is an ideal device of processing fine rice of different grades. 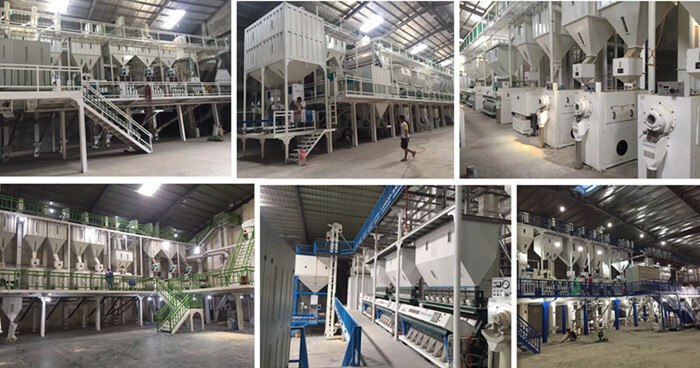 The rice polishing machine has features characteristics of high output, low broken rice and good technique effects. Meanwhile, the rice brushing machine can also set up water spray structures and needs to carry out water rice brushing that have obvious polishing effects. ◆ The combined whiteners can reduce elevators for the structure of the downward entering and upward existing.Screw can ensure the truster to largely promote the output. ◆ Spraying and suction combining is efficient to prevent the bran chaff. ◆ High output,less broken;Fine milling process with water device have polishing efficiency. ◆ Brand-name components configuration,durability,safety and reliability. ◆ Configuration of beside machine switch,Intelligent adjust indicator and depression meter indicator.According to the predetermined limit on the main motor,electricly control the entering screw is on or off,avoid the milling machine room jam to protect the main motor.